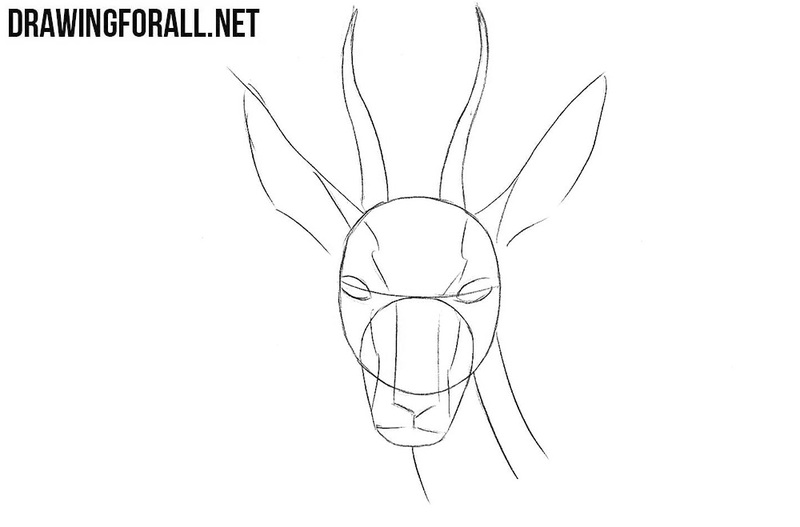 How to draw a gazelle head? 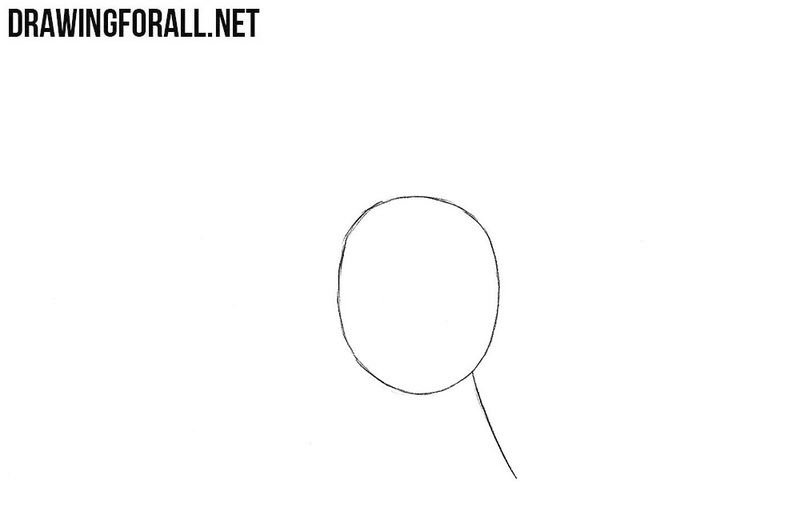 In our new drawing lesson our artists will show you how to do this. 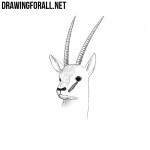 To draw a graceful head of a gazelle, let’s first outline the head in the form of a simple circle. Next, we draw a line that later becomes the neck. 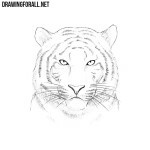 In the lower part of the circle sketch out the muzzle. In the upper part of the head sketch out the outlines of the ears and curved horns. Make the neck thicker. 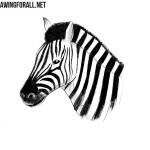 Above the muzzle draw a horizontal line on which the eyes will be located. Next, make the ears and horns thicker. 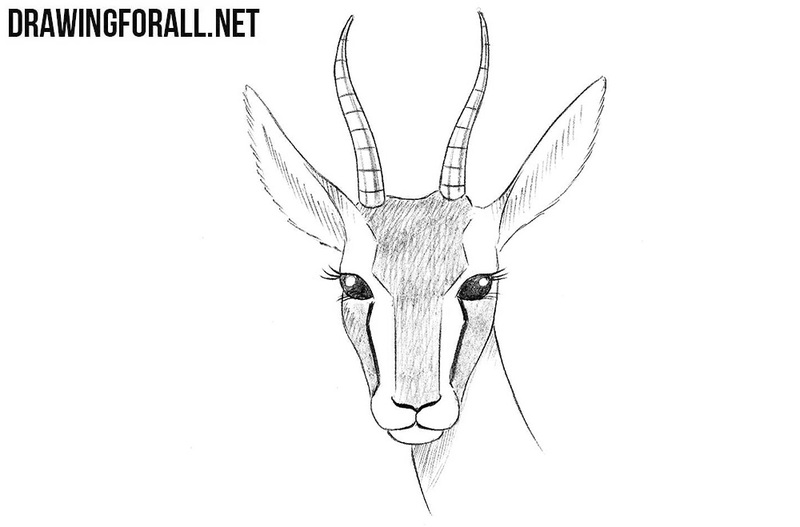 Sketch out the eyes, nose and mouth of our gazelle. 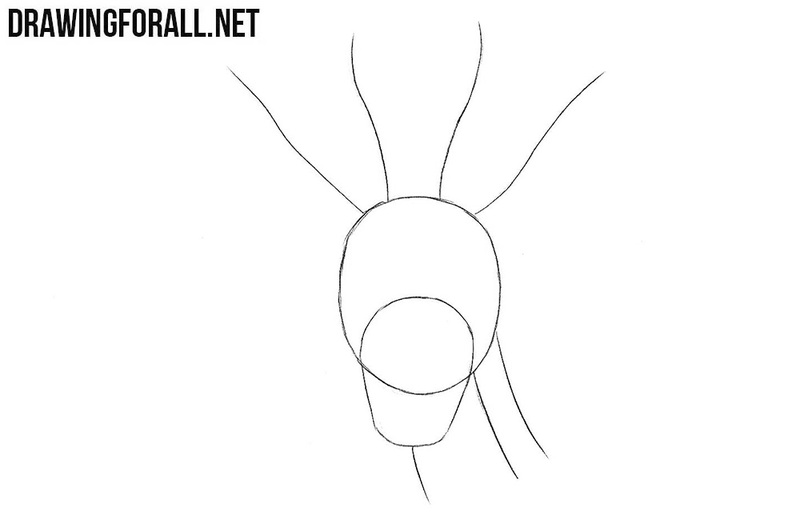 Denote the location of the lines on the muzzle and head. 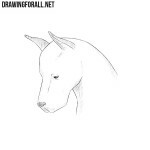 Erase all unnecessary guidelines and with the help of clear and dark lines draw out the outlines of the head, eyes and muzzle. Draw lines on the horns. Make the lines in the center and on the sides of the head darker. Paint out eyes in black leaving glare. At the end of the step add shadows using hatching. 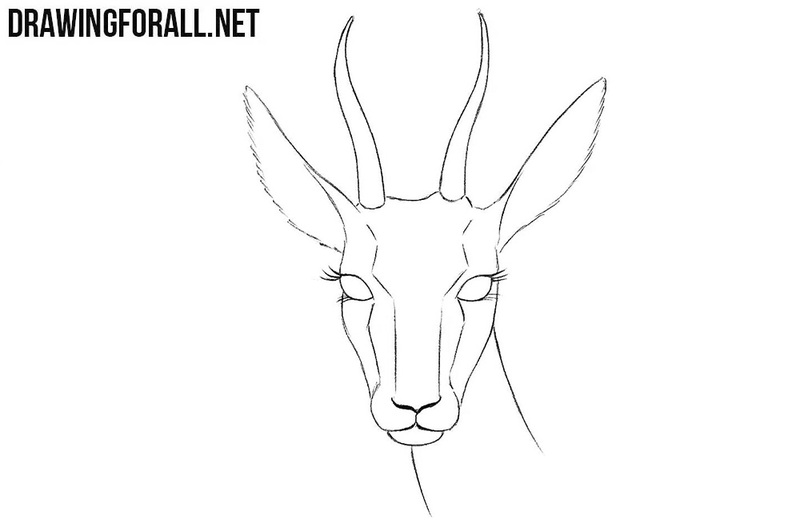 Our artists hope that this drawing tutorial helped you learn how to draw gazelle head. 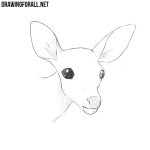 But it is possible that you could face some problems in the process of drawing. If so, then let us know about this in the comments below this article. 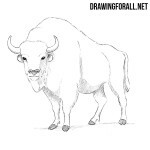 What other animals (or maybe not animals) you would like to see on the pages of DrawingForAll? Information about this we are also waiting in the comments to this article.